Diets are seen as restriction, as limiting or stopping doing things that you like- it’s never going to feel good, and that makes it unsustainable. Ask yourself what you want from your diet. Weight loss is the most commmon answer. It was my answer too. Not two weeks of weight loss and wonderful motivation after slipping into my small jeans (although I love that), only to take my new fit self out with friends, probably for dinner and drinks, and see it gradually eclipsed over the coming weeks by the old self, kick started by coffee, fuelled by standard food and relaxed by wine. I want to be perpetually at my best. So many of us have tried diets, and for 90% of us they don’t work- or more accurately, we don’t work. A little tweak to the diet here, a night off there, a break at the weekend and then the final brushing under the carpet all result in diet failure. Diets are seen as restriction, as limiting or stopping doing things that you like- it’s never going to feel good, and that makes it unsustainable. It needs to be a plan, a plan with no end and a plan that you don’t want to end. It needs to be a flexible plan, an interesting plan, a plan that delivers the instant smugness of feeling thinner or fitter, with the long term comfort you find in good health. Diet is no longer a verb, you don’t ‘diet’. Diet is now a noun, you have a diet, and its a good one. I credit a couple of these little nuggets of wisdom (and some of my motivation) to Jason Vale (a.k.a. the Juice Master) and his book, Turbo Charge Your Life in 14 days that I am working to. One of many food publications that I have read (recently), absorbed, enjoyed and seen benefit from- this one I think has some lessons that I’ll carry on not for the next 14 days, not even for the next 14 years, but I hope for the next 14 generations. Juicing is oh so fashionable, and oh so now, but what it does allow is for you to squeeze a huge amount of good things into small and edible portions, i.e. glasses of juice. I figure that if we have higher nutrition in what we do eat, then we need less of it- and less food means less of me (physically). I’m all over it like a blonde L.A. gym-bunny on a wheatgrass shot. 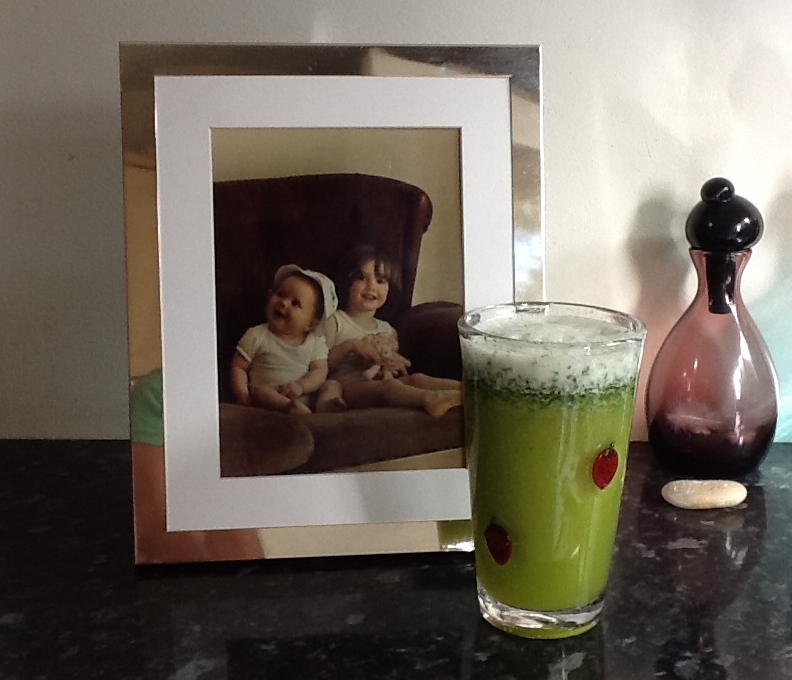 I won’t be copying and pasting Jason’s juices, as they are his (and the recipes wont be half as amsusing as they are in his talk speak- he is a nice bloke to read) but I will be detailaing the results, and most importantly how juicing fits into my life post 14 day turbo blast thing. P.S. I’m 5 days in, feeling good, and very hopeful- especially as it’s a Friday evening and my old friends Ms. Sauvignon and Ms. Salt and Vinegar aren’t even close to being invited.